“Having been let down by another supplier, you didn’t just meet it, you bettered it”…..Hampton Junior School. Welcome to The Promobag Warehouse. The UK’s leading supplier of customised bags branded with customers’ logo. 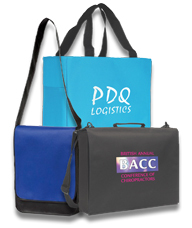 The Promobag Warehouse has been providing branded bags for over 25 years. With the most extensive range of Bags available.We supply promotional bags of all varieties, to schools, clubs and associations. The quality of our service and pricing has ensured that clients keep returning to us. View our selection. If there is something specific you need we can source it or have it made bespoke. Contact us if you can’t find what you’re looking for. Branded Bags and Promotional Bags have a greater reach and longer lifespan than many Branded Items. Adding your logo to these turns them into a moving Billboard, showing your logo off to the world at large. We are specialists in Company Promotional & Branded Gifts and pride ourselves on providing excellent customer service at prices to suit all budgets. This site is dedicated to our Promotional Bags to allow you to find the style that you require with little effort. Whether you are looking for promotional tote bags for an exhibition or to mail out to your prospects. Branded Sports Bags for your club or to help your clients get healthy. Corporate bags & luggage for staff retention. Or a yearly give-away for your existing customers, we are certain we can have the promotional bags to suit your needs. Our experienced team will work with you from quotation to delivery to ensure that you are fully satisfied with both your bags and service. We guarantee your experience with us will be second to none. We hope you enjoy browsing our selection and look forward to hearing from you. With new ranges constantly arriving, if you can’t find what you are looking for, please contact us and we can source for you.